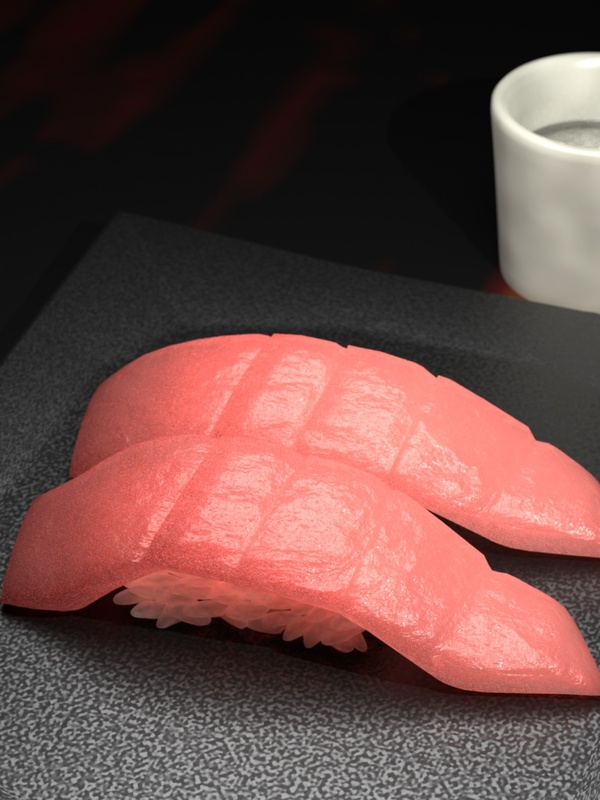 ★ Name: Maguro Sushi ★ Raw material: 3DCG (.blend) ★ Contents: Consistent (Total: 117,558 Tri Porygons) ★ Shelf Life: ∞ ★ Save Method: Please save in PC ★ Manufacturer: McLion (Twitter: @ McLion 0) ★ Remarks This file is a Blender file (.blend). Can not eat. There are no accessories such as dishes. In order to make it realistic 3D, rendering time is longer because it is a material with SSS heavily used. Also, as a characteristic of the material, the setting of lighting is strict. Please be careful. Number of polygons: 117,558 (Subsurface Modifier available) 2018/11/16: It was introduced in BlenderNation's "Best of Blender Artists: 2018, week 46"! https://www.blendernation.com/2018/11/16/best-of-blender-artists-2018-week-46/ ☆ License 【CC BY】 Copy, distribute, exhibit and demonstrate works I request the display of the copyright holder. It is also possible to use it for modification / profit purposes.